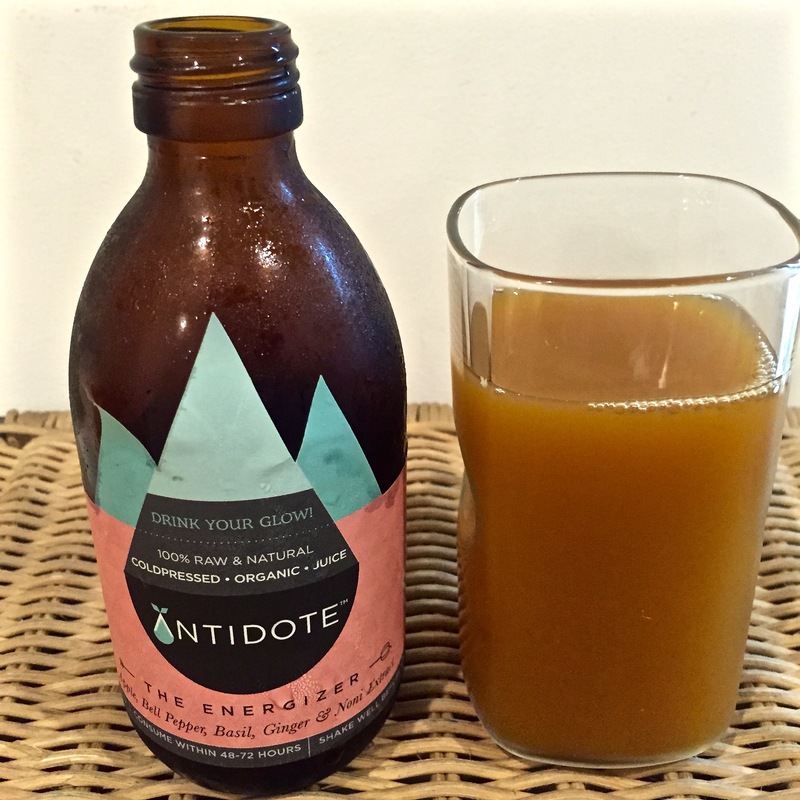 Juice Cleanses are all the rage world-over and rightfully so! You get a booster dose of nutrition hitting your bloodstream direct & that too from superfoods you would be hard pressed to source otherwise. 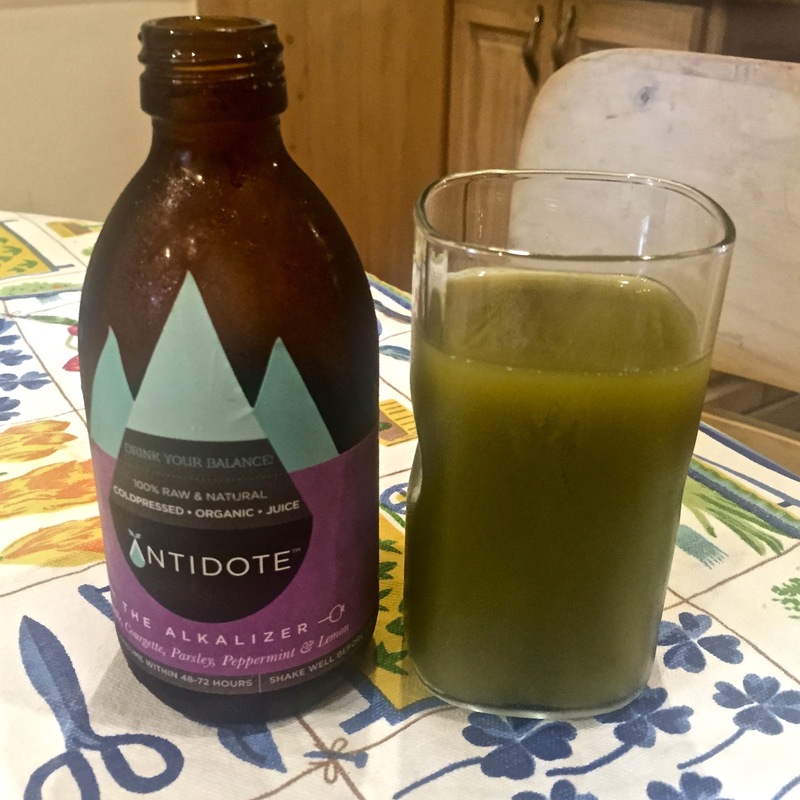 So when Antidote came on the scene, I was more than eager to give it a try and having done some juice cleanses earlier, I can also vouch for the wonderful post-cleanse feeling. That said, I also prefer a lighter cleanse i.e. fewer bottles & that allow for a nibble or two in between. When I saw the product, what got me going all mush & mwaah! were the amber (for protection from heat & UV light) glass bottles and that cute little label, apart from all that listed awesomeness. 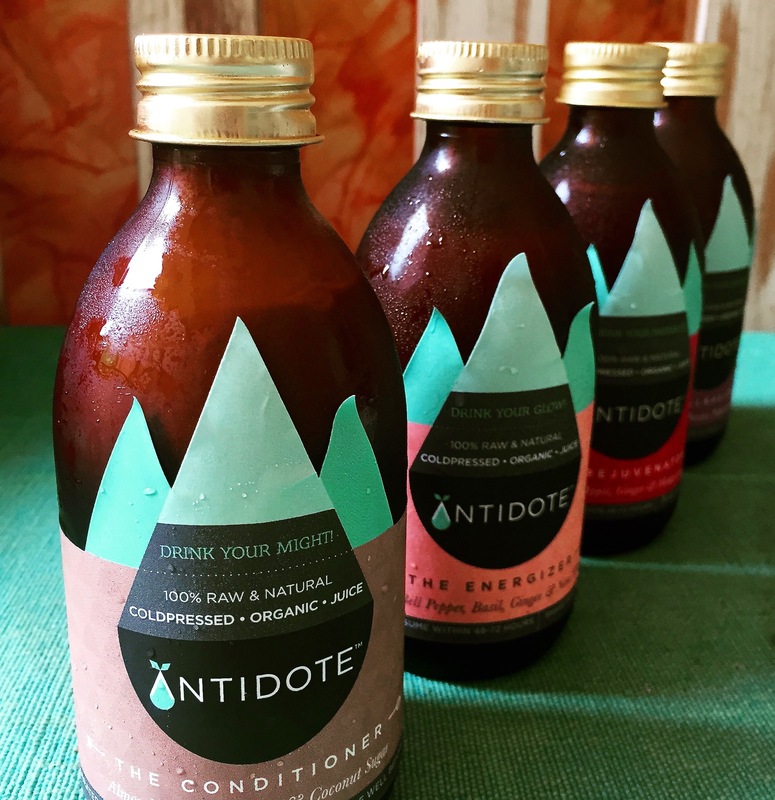 Antidote – an Organic, Raw and Cold-pressed Juice Cleanse Service – offers programs & cleanses with juices prepared from Organic fruits, veggies, greens and super-foods that are Cold-pressed ( less oxidation, more live enzymes = richer in nutrition) , have Zero artificial stuff , are 100% Vegetarian , Gluten & Dairy free and basically work at turbo-charging your nutritional intake while re-setting & re-booting your digestive machinery. You can choose to experiment with shorter 3 /5/7-day programs or go for a long-term wellness commitment with the 10/14/21 day programs. One can also opt for the whole day ‘Go-liquid-until-dinner’ cleanse, for a post-binge antidote! 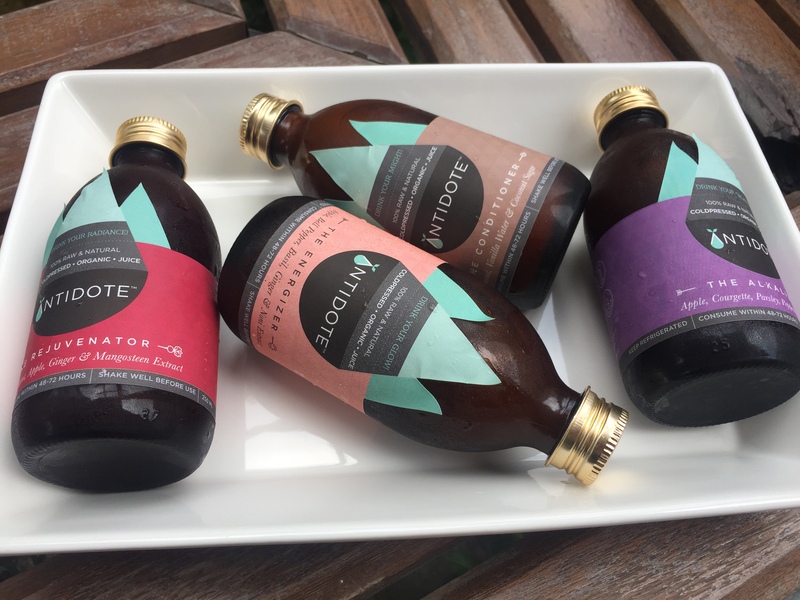 The Program includes 4 nutritionally-dense juices with ingredients including super-food extracts of skin-loving Mangosteen and hair-friendly exotic berry, Noni. 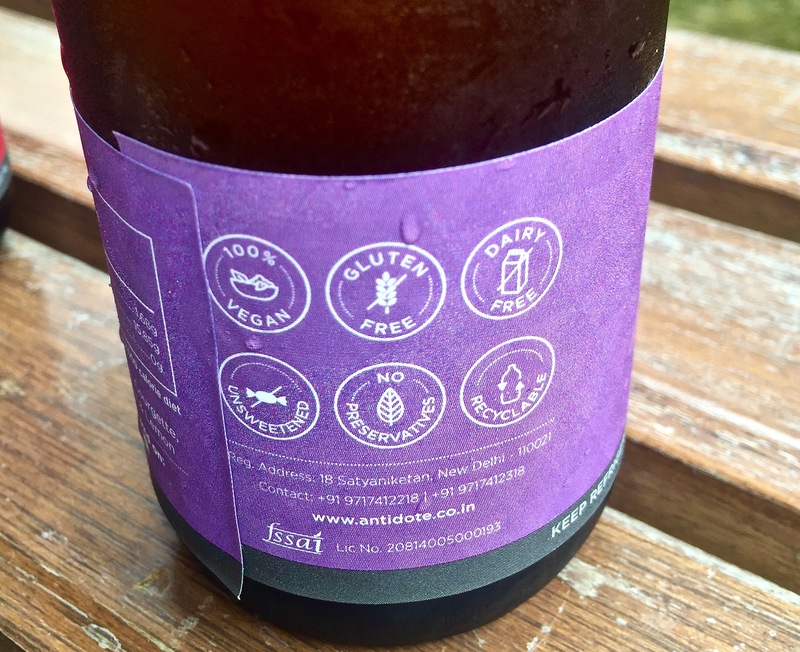 A natty note on guidelines for consumption accompanied the bottles. First up was The Alkalizer, which I drank on waking up instead of my regular tea. It is a green juice power packed with free- radical fighting properties & Apple , Courgette, Parsley , Peppermint & Lemon making this baby up. A delicious, slightly tarty juice that awakens you just right. An hour-later, a light breakfast followed. 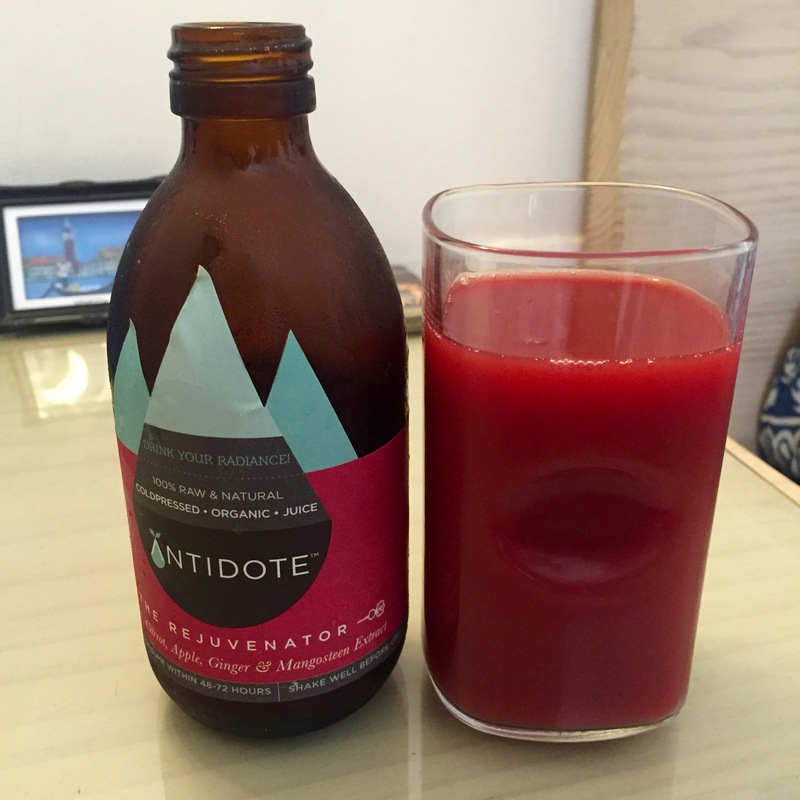 Towards mid-day, The Rejuvenator bumped me out of the mid-day slump with its ingredients of Apple, Carrot, Beetroot, Ginger and Mangosteen Extract. The juice aims at building stamina and natural detoxification. 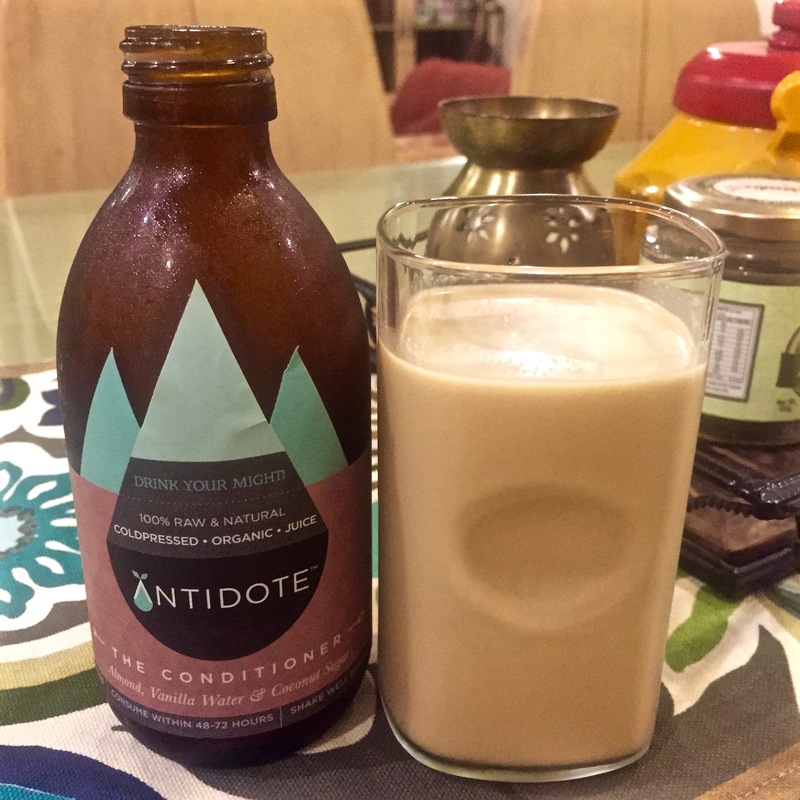 The Conditioner , consumed in the evening is a sweet and delicious juice of Almond Milk, Vanilla Water and Coconut Sugar . The blend works at plumping up the skin with intense hydration from within. High-protein, Fat-free, Lactose-free & with high dosage of Vitamin E, it claims to be great for the skin and bone health. I never knew that Coconut Sugar has half the GI of table sugar and is packed with amino acids! Vanilla Water adds B-Complex and Zinc. 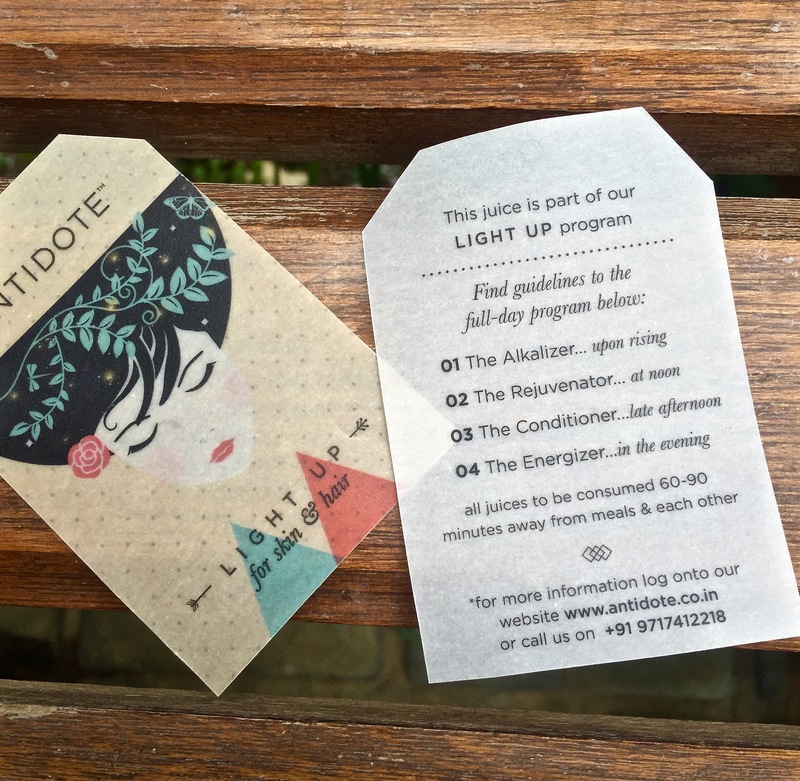 Finally, an hour before dinner I went after the Last Bottle Standing – The Energiser. Keeping with the guidelines, I ensured light meals through the day, primarily salad based and sautéed grub. On the day of the program the intense gym workout made way for a lovely , easy Tara Stiles Yoga flow. The blends are pretty delicious and easy on the palate. In some , I was expecting a strong influence of say pepper / courgette but surprisingly the accents were mild and the juices are overall yummy! 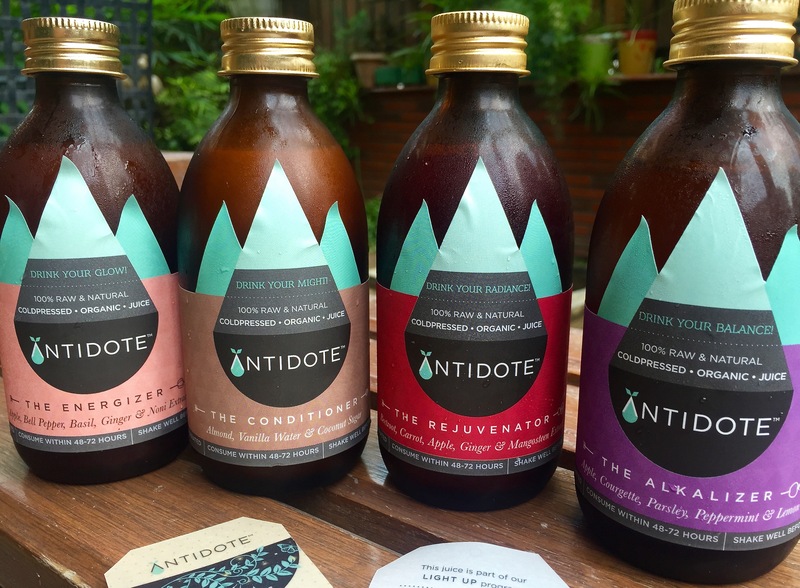 A very hydrating and feel-good experience and since I was also eating very light, it gave my digestion a great re-caliberation.Taken as a longer program, the products hold a lot of promise in helping get that radiance going. Rs.950/- for a day’s program ( Programs range from Rs.850 – Rs.950 for a day’s supply of 4 bottles).Each bottle is 250 ml.